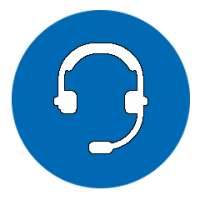 We can assist without you even leaving your home or office with our Remote Support Tool. The remote control support service is free of charge if you require assistance installing a product that you purchased in the shop within the last 30 days (including new computers if it relates to setup performed in our Workshop). Otherwise, remote control supports charges start at just £25 including VAT. If you are currently talking to one of our Technicians on the telephone please click here to download our Remote Control Support Tool. After you have downloaded and installed this application our Technician will be able to take control of your screen, keyboard and mouse. WARNING: If you are using a work computer then it is important that you check with your IT department before downloading this tool! Remote control support primarily for customers based in and around the following main towns in Surrey – Ashtead, Banstead, Carshalton, Coulsdon, Croydon, Dorking, Epsom, Ewell, Godstone, Horley, Leatherhead, Lingfield, Merstham, New Addington, Oxted, Purley, Redhill, Reigate, South Croydon, Sutton, Warlingham, Whyteleafe and Woldingham; in Kent – Biggin Hill, Bromley, Edenbridge, Orpington, Westerham and West Wickham; in East Sussex – Crawley and East Grinstead. Near Me.